It’s that time of year again when the bi-annual TOP500 list of the fastest supercomputers in the world is released. The 48th edition shows that while Chinese machines are hanging on to the number one and two positions, the US now has the same number of computers in the top 500 as its Asian rival. Back in June, Sunway TaihuLight’s Linpack benchmark of 93 petaflops knocked Tianhe-2 – clocked at 34 petaflops - off the number one spot. The highest US supercomputer on the list, the 17.59 petaflop Titan, was in third place. Six months later, the top three entries remain the same. 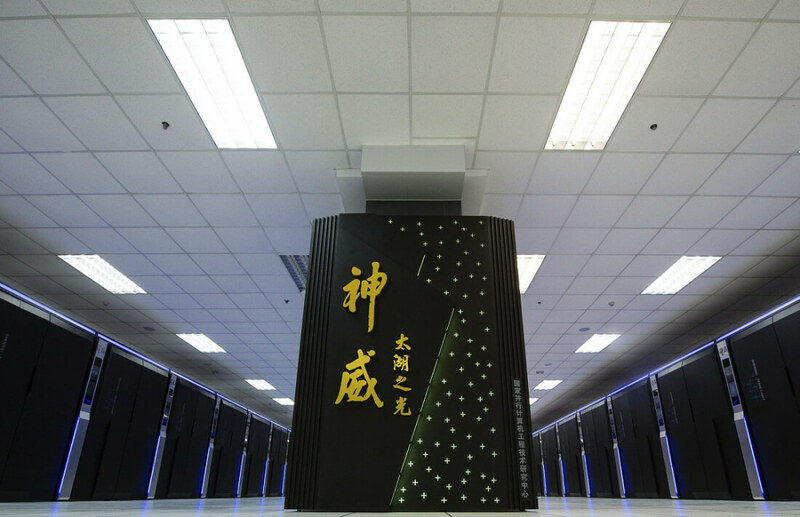 June’s list also marked the first time that China had more supercomputers in the top 500 than the US – 167 compared to America’s 165. But the two countries are now back on equal terms, boasting 171 entries each. In terms of aggregate Linpack performance, the US holds 33.9 percent of the total, slightly ahead of China’s 33.3 percent. Adding together the performance of all the supercomputers on the list equals 672 petaflops, an increase of 60 percent compared to the same period last year. Germany sits behind China and the US with the third largest number of supercomputers in the top 500. It’s followed by Japan, France, and the UK. Two new computers make it into November’s top ten: the 14 petaflop Cori arrives at number five, which is a Cray XC40 system from Berkeley Lab’s National Energy Research Scientific Computing Center (NERSC); while Japan’s Oakforest-PACS – rated at 13.6 petaflops – comes in at number six. Both machines run Intel Knights Landing Xeon Phi 7250 68-core processors. One interesting statistic from the list is that 498 of the 500 computers are now running Linux. Only two Chinese machines – at 386 and 387 – run IBM AIX, a variant of Unix. Linux completely overtook Unix as the supercomputer OS of choice in 2004, just six years after it first appeared on the list, and has been ahead ever since.